Young volunteers are becoming involved in railway preservation, and the recent ‘Deltic’ tour to Tweedbank saw an 18-year-old among the support crew. David Russell reports. THERE are many people who believe the average age of volunteers involved in railway preservation is rising and that there is very little ‘new blood’ getting involved in the hobby. 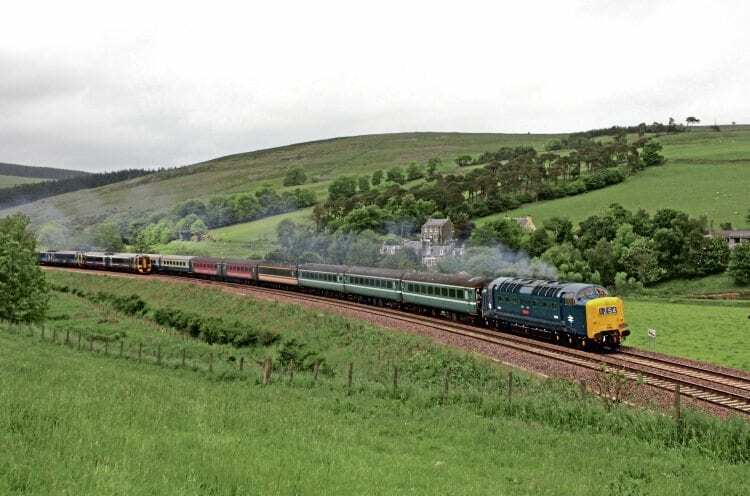 However, some groups are bucking the trend, and Rail Express readers who travelled on Pathfinder’s ‘Deltic Borderer II’ to Tweedbank on June 18 may have observed one of the riding fitters on board the Deltic Preservation Society’s No. D9009 Alycidon was someone who definitely cannot remember ‘Deltics’ in BR service. The member of the DPS team was Bethany Marsh, who, at age 18, was undertaking her first main line outing as part of the loco support crew – one of the youngest to do so on any preserved diesel operating over Network Rail metals. She has previously acted as a riding engineer on No. 55019 Royal Highland Fusilier at the Severn Valley Railway in 2015, where the loco was based for the season.